If we have been using Steam for a while, we probably have more than one unwanted games in our library. They could be outdated betas, alternate versions, games we got bored of, or games we just didn't like and missed our chance to ask for a refund. 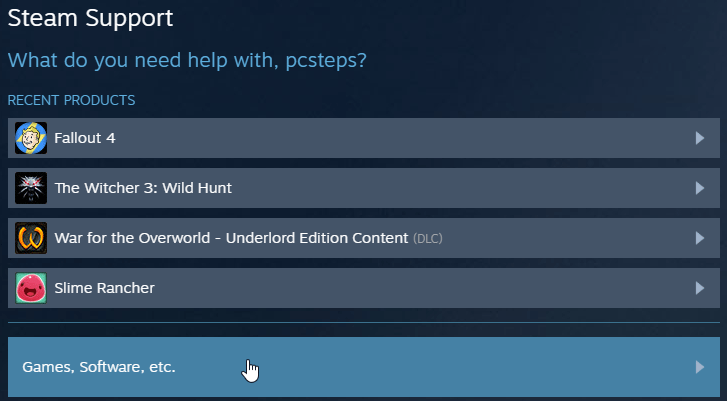 At the same time, the Steam client's options are often less than intuitive. 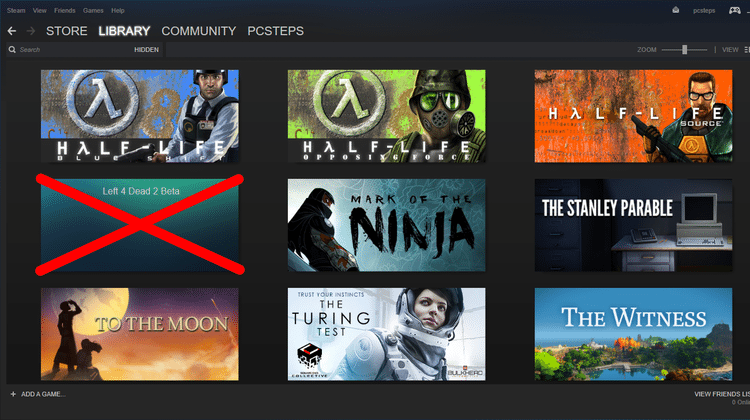 Let's see how to hide games in our Steam library, or completely delete games from Steam. 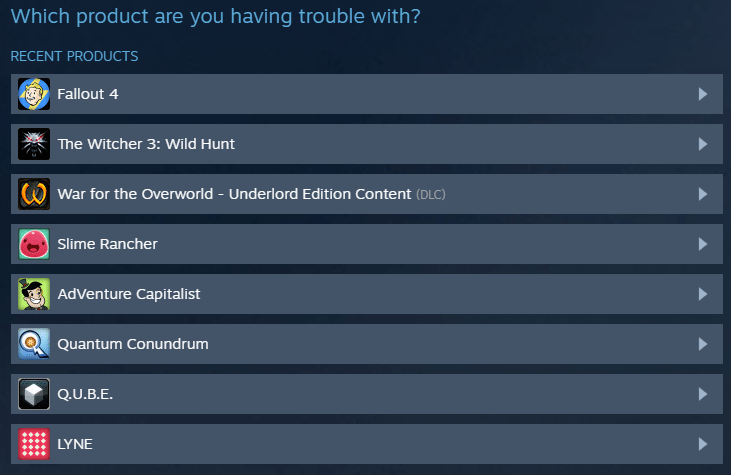 Did you have any trouble to hide or delete games from Steam? 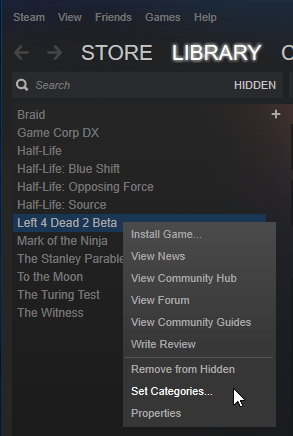 Let's say we bought the Valve Complete Pack on the previous Steam sale, and along the great Valve titles, we also got the useless Left 4 Dead 2 beta, even though the pack already contains the final Left 4 Dead 2 version. We sincerely doubt that a game from 2009 will be getting any new beta content. Also, the last time the beta got an update was in mid-2013. 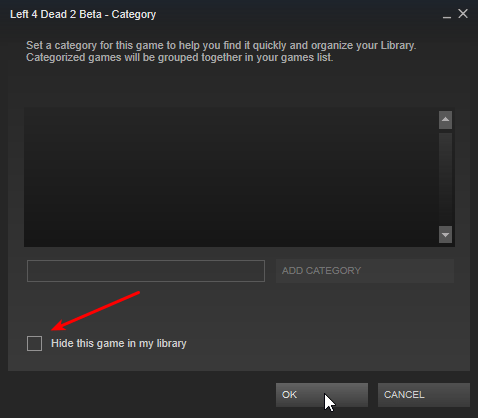 It's safe to assume that we don't need Left 4 Dead 2 Beta in our library in any way. The Steam client has allowed us to hide games in our library since August 2014. However, this function is well hidden from the users, for some reason. 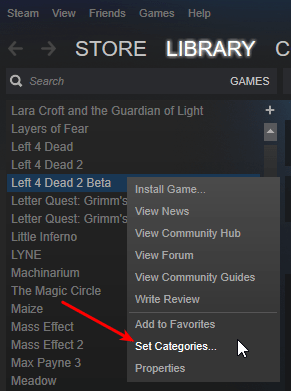 To unclutter our Steam library, we just need to right-click the game we want to hide and select "Set Categories". 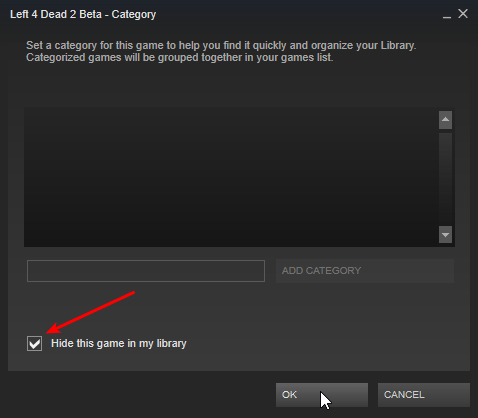 There, we check the "Hide this game in my library" checkbox. Couldn't this option have been on the context menu when right-clicking on the game? Of course it could. But the Steam client UI leaves much to be desired. Unhiding a hidden game is even more counter-intuitive. 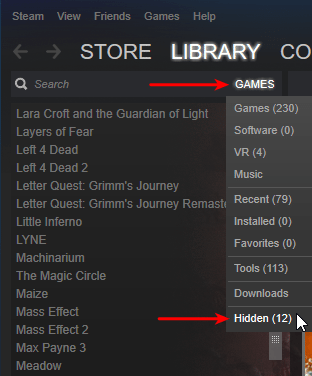 We need to click on the "Games" menu next to the search box, and we will discover a new option named "Hidden." Since we rarely need to click on this part of the client, it would probably be the last place we would think to check. There, we will find all the games we have hidden. We can download and play them straight from this menu. ...and unchecking the "Hide this game in my library." Hiding games is a good way to unclutter our Steam library. Sometimes, however, a game is so bad, we just can't stand the thought of it being hidden. We might even be embarrassed by it being on our account. In this case, we can completely and irreversibly delete games from Steam. 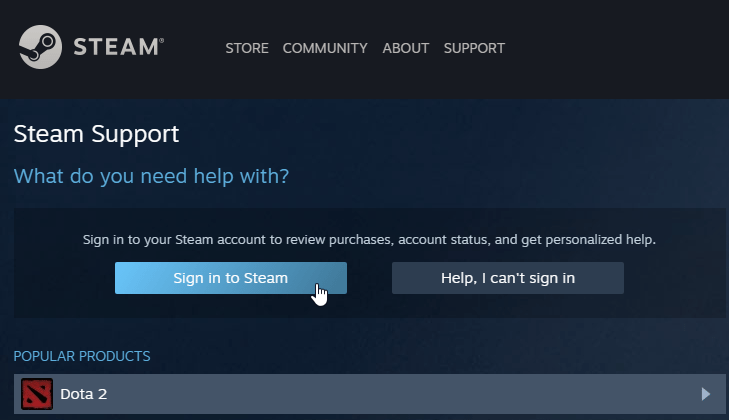 This time, however, we need to access our online account, we can't delete games from Steam through the client. 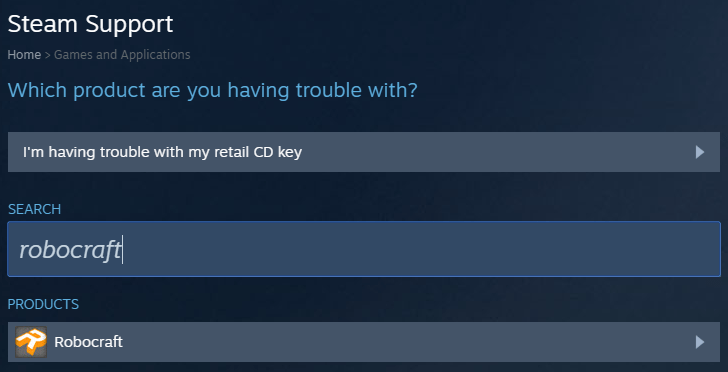 We just need to access the Steam support, where we must sign in with our account. Then, if the game we are looking for isn't within the four latest games on "Recent Products," we click on Games, Software, etc. From this menu, we will see eight recent products. If the game we are looking for is still absent, our only choice is to use the search function. 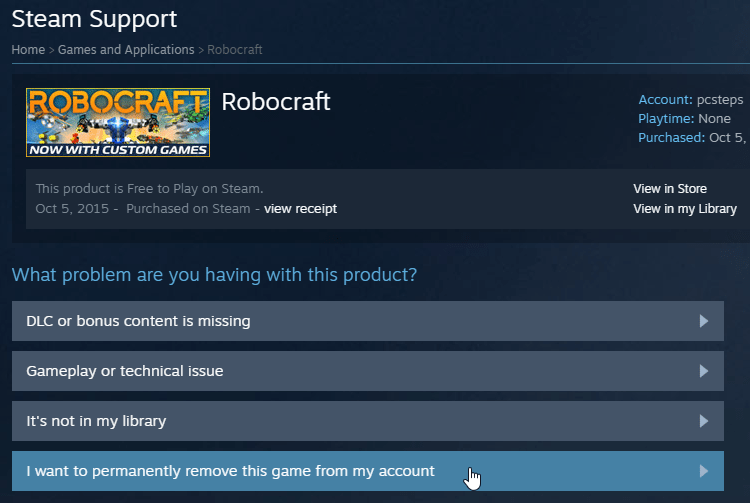 After we find and select the game, we just click on the "I want to permanently remove this game from my account" option. After clicking on this and before we proceed with the deletion, Steam will make it clear that we will no longer own the particular title. 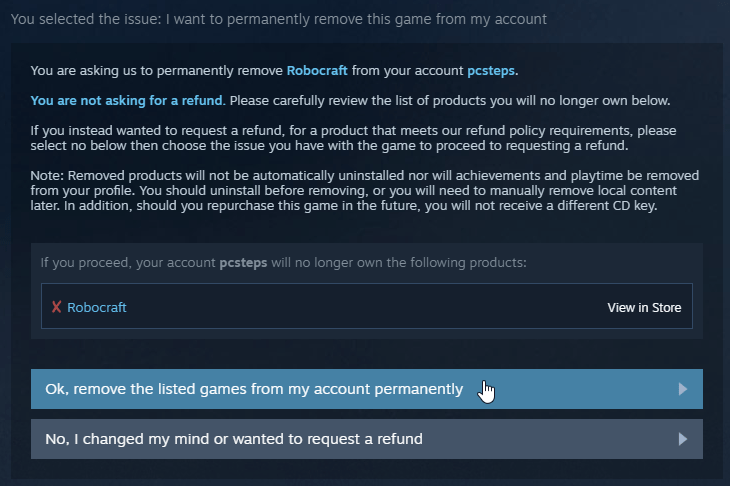 We won't get a refund for any money we paid for a non-free game, and if we wish to play a deleted game, we will need to repurchase it. This process is irreversible. Unfortunately, this scenario won't work for games we bought in bundles. 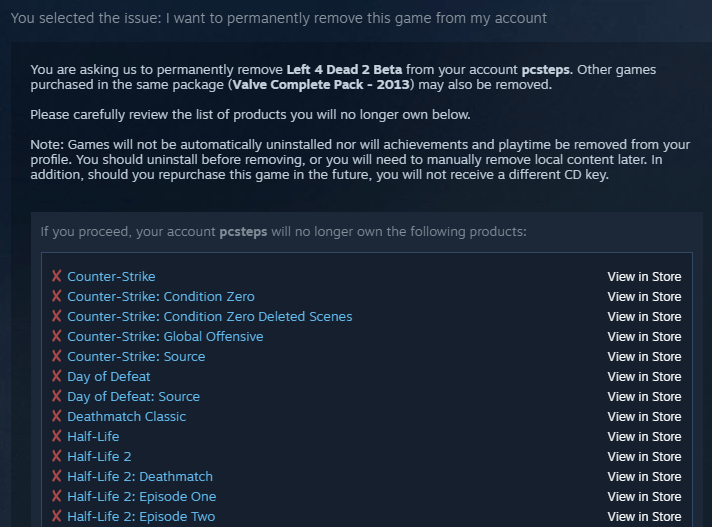 Trying to delete the Left 4 Dead 2 beta we mentioned earlier will erase the whole Valve Complete Pack. So, hiding it is the only option. 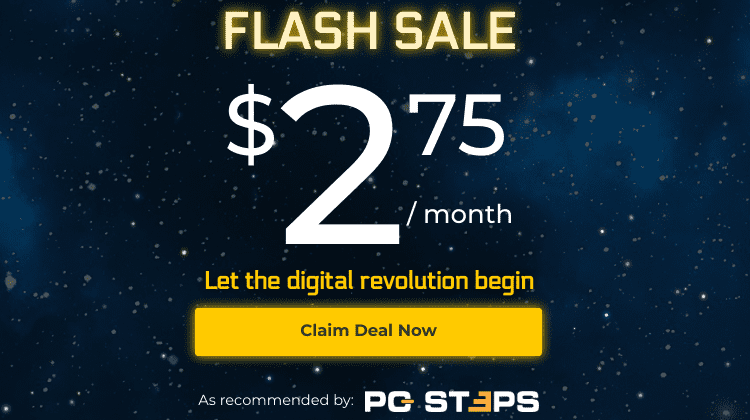 If anything on this guide didn't work as described, and you weren't able to hide or delete games from Steam, leave us a comment.